Your health is extremely important, but most people only see their doctor once a year. What if you could have your own doctor in your house, able to give medical information that is specific to you and backed by your primary care physician? Echo, M.D. uses the FHIR protocol to access data from patient charts, then helps you manage your medicines: when you've taken them, when you need to take them, and when you might run out. 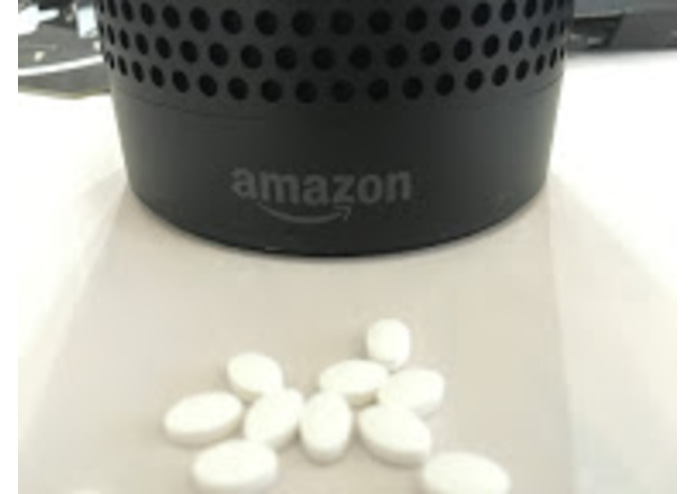 You can ask Amazon Echo questions like "Do I need to take any medicine?" and it will respond with medicines you need to take, as well as how many you have left. It can also log medicines for you with phrases like "I just took 1 dose of Tylenol," to make sure that you are taking the correct dosage every day.